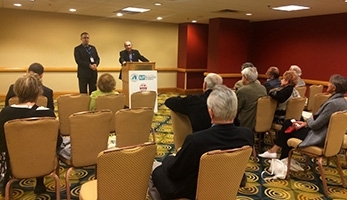 Turkish President of the Turkish American Neuropsychiatry Association (TANPA), Rector of Üsküdar University – Psychiatrist, Prof. Nevzat Tarhan brought Turkish and American scientists together within the framework of the APA (American Psychiatric Association) annual conventions at Hyatt Regency, Atlanta. 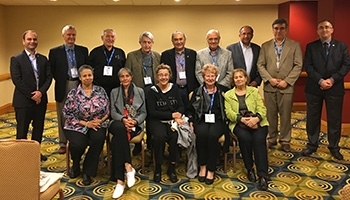 The Turkish American Neuropsychiatry Association performed its 169th APA (American Psychiatric Association) annual convention. The Turkish President of the Association Rector of Üsküdar University, Psychiatrist, Prof. Nevzat Tarhan brought Turkish and American scientists together at the convention where the latest developments in diagnosis and treatment were discussed. Prof. Tarhan, the President of the Turkish American Neuropsychiatry Association which operates on behalf of the Turkish and American clinicians to establish and develop scientific collaborations in the field of neuropsychiatry for ages, has addressed the scientists about the works of the association.